This is an example of a surface that has been partially polished to reveal heavy aggregate exposure, but our client didn’t want a high shine. 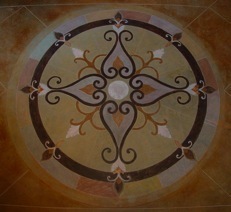 The client expressed a desire to achieve a “cork like” effect. 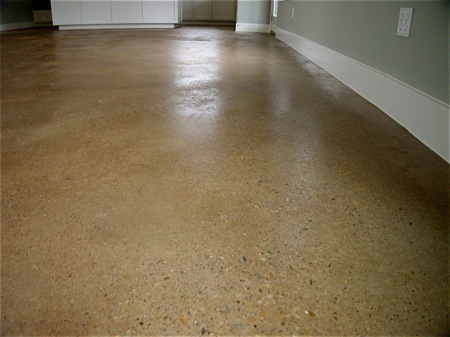 Acid stain was used to color the concrete, and sealed to a soft satin sheen.